Bright Box Gallery is our in-house gallery, curated by Bright Designlab, featuring a rotating selection of artists. Sharing the space with our design studio, the gallery's hours are Monday - Friday, 9am-5pm. We often have extended evening hours on the first Thursday of each month during the Pearl District’s First Thursday art walk event - check our Instagram for updates (@brightdesignlab). The gallery is located at 404 NW 10th Ave, Ste. 101, in Portland, Oregon. Maja Dlugolecki is a self-taught abstract painter from Portland, Oregon. with a background in visual design, her work draws from experiences and impressions in her own life through an abstract lens. Maja’s intuitive paintings features ample white space in between layers of texture, creating movement through bold pigments. she enjoys pushing the limits of color and technique, with an ever-evolving palette and method. Kaysie Condron is a self-taught fiber artist, currently traveling the world with her craft. Since the move from Chicago to Portland, she has spent two years developing her business, LITTLE FERAL, and helping others find meditation in macramé. Kaysie is a self-described doer, maker, and innovator, with a passion for helping people find their creative outlet. Tess Rubinstein is a multidisciplinary artist hailing from a foggy mountain in the San Francisco Bay Area. Her practice is centered around living a good ole' humble existence, using print, digital media and surface design to create approachable and sometimes functional art. She received her BFA from the Pacific Northwest College of Art in 2017, and is currently residing in Portland, Oregon as a morning person. 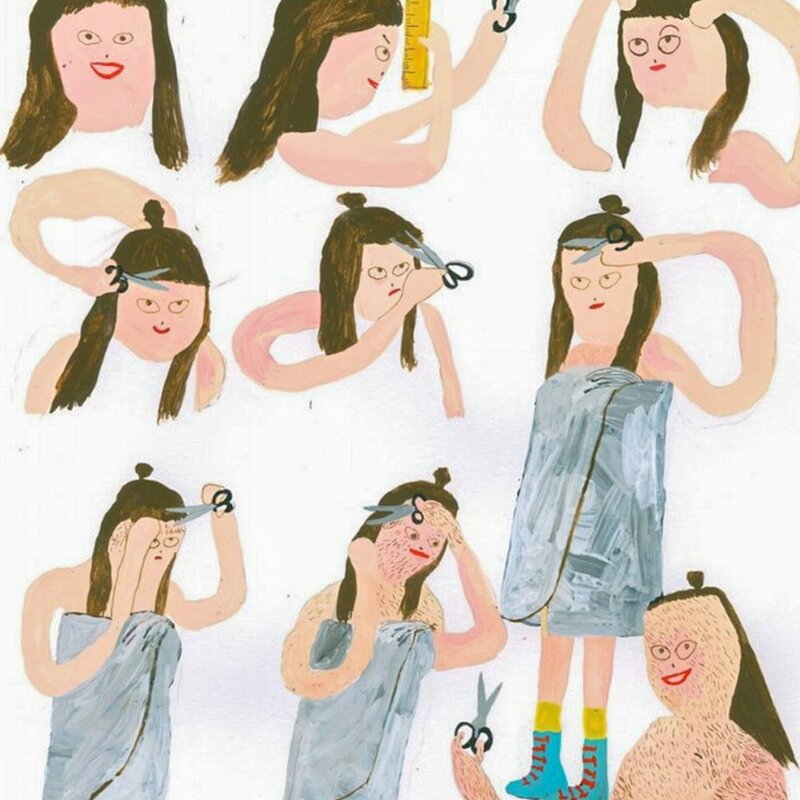 Mali Fischer is a freelance illustrator, located in Portland OR. Mali grew up on a little island off the coast of Washington State and later moved to Vancouver, BC where she attended Emily Carr University of Art & Design. 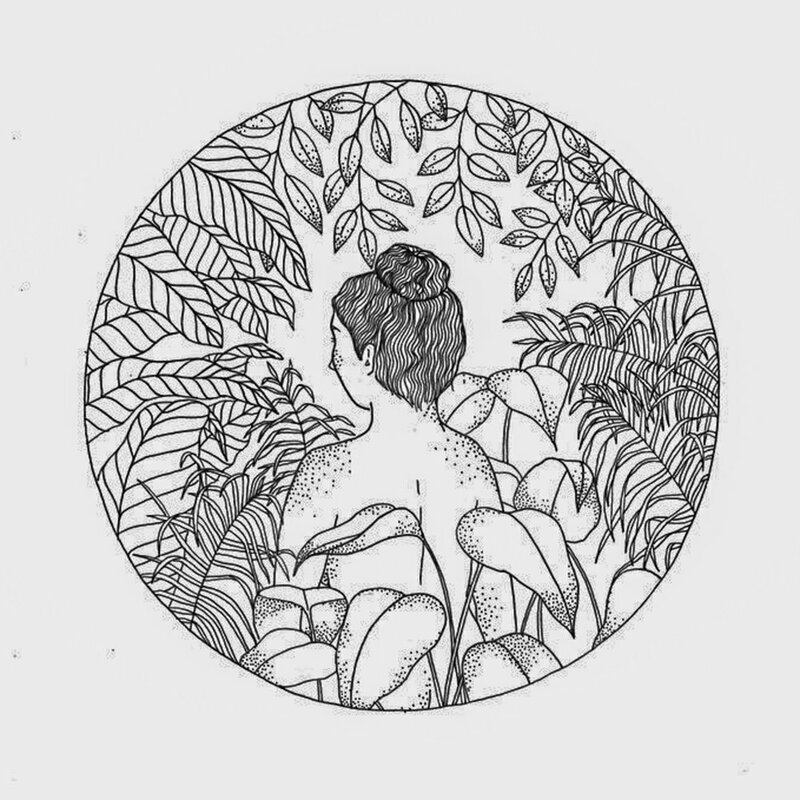 She received her BFA in 2014 and since then has maintained her own drawing practice, while also offering her illustration services to business and individuals alike. Cody Cobb (b. 1984 in Shreveport, Louisiana) is a photographer based in Seattle, Washington. His photographs attempt to capture brief moments of stillness from the chaos of nature. "Tara Booth is a comic book artist from Portland, however these detailed pieces with their mix of drawing and painting cover much more ground than that title. Tara’s work displays such character that after looking through her work you already feel like she’s one of your pals. This is due to her inspiration often coming from her diary, 'I’ve always felt compelled to document my daily experiences…now I do it visually' she explained, 'A lot of my work is about living with chronic anxiety and depression. Taking the parts of my life that leave me feeling hopeless or out of control, and being able to turn them into something sort of silly through painting helps to transform some of my negative emotions. It’s also super validating and therapeutic to see how many people deal with the same issues and have similar experiences. The more that people can laugh and relate to my work, the more compelled I am to make it." Zandka*, textile art from Berber women in a remote area of the High Atlas Mountains in Morocco. Berber art is renowned for its creative independence and technical skill. It is predominantly utilitarian art, sheep herding semi-nomadic families spinning and weaving wool into clothing, blankets, tents, or rugs. They vary from luxurious minimalist pieces to wild, intricate works. Certainly art, but they remain functional objects. With these zandka, however, there is no known function of the pieces. They are simply making art. When women have no looms and little material, they use what they have. They stitch scraps of wool, thread, sometimes plastic, onto old woven plastic rice bags. Each vintage piece is a testament to the resilience, expression, and creative freedom of the unknown artist. They show modern art springing from a traditional culture and age-old techniques. *Note that spelling varies, as transliteration of this particular word from Arabic is not precise. Aly Barohn's White Light is a representation of how light and shadow play. Light, throughout each day, changes almost imperceptibly. Vibrancy and hue interact with the variations of light creating subtle changes to the visible light we see. We find texture in the shadows as light passes through varying objects and opaqueness. Barohn builds upon the constructed canvas with hand-dyed hand-embroidery, focusing on the subtleties of each "white" thread. Through dimension and texture, she encourages the viewer to experience the work through touch as well as sight.